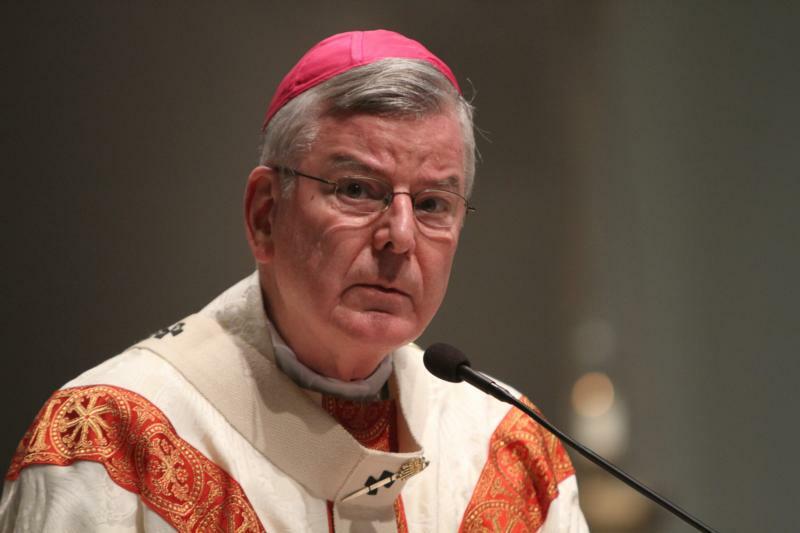 ST. PAUL, Minn. (CNS) — Archbishop John C. Nienstedt has “stepped aside from his responsibilities” at the Napa Institute, the Irvine, California-based organization announced Aug. 15. According to the institute, since 2016 Archbishop Nienstedt had been an independent contractor with the Napa Institute, where he edited its conference proceedings for publication, celebrated Masses and participated in its annual conference. The institute said it had been advised that there are no restrictions on Archbishop Nienstedt’s ministry. The archbishop resigned as head of the Archdiocese of St. Paul and Minneapolis along with Auxiliary Bishop Lee Piche in June 2015. Their resignations followed the filing of criminal and civil charges by the Ramsey County Attorney’s Office against the archdiocese in its handling of sexual abuse perpetrated by former priest Curtis Wehmeyer in 2008-2011. Archbishop Nienstedt’s connections to the Napa Institute drew criticism from The American Conservative magazine’s senior editor, Rod Dreher, who on his blog Aug. 6 accused the institute of being inconsistent in its stance against bishops accused of mishandling sexual abuse. Dreher said that the institute could not do that credibly while retaining connections to Archbishop Nienstedt. After the archbishop’s resignation, Pope Francis named Archbishop Bernard A. Hebda to lead the archdiocese temporarily, later making the appointment permanent. The archdiocese settled the civil charges in 2015, and the Ramsey County Attorney’s Office dismissed the criminal charges in 2016. As Dreher highlighted, Archbishop Nienstedt also was the focus of a sexual misconduct investigation he commissioned in 2014 following allegations about his time as a priest and bishop of Detroit and New Ulm, Minnesota. The investigation’s report, as well as a report from a follow-up investigation, was submitted to Archbishop Carlo Maria Vigano, then the U.S. papal representative. Archbishop Nienstedt, who became archbishop of St. Paul and Minneapolis in 2008, has maintained that the allegations of sexual misconduct are false. “The Napa Institute is gathering together lay leaders to chart a new way forward that is both faithful to the church’s hierarchical structure and committed to holding church leadership accountable,” the statement said. “These leaders are working on concrete proposals for governance changes to avoid future scandals.